MOSCOW — The last time the United States considered arming Ukraine with lethal defensive weapons — about three years ago — the proposal was ultimately dropped over concern for Russia’s reaction. But amid a flash in tension between Moscow and Washington, the U.S. Defense Department is back at it. According to a Monday report in The Wall Street Journal, the Joint Chiefs of Staff — with the support of Defense Secretary Jim Mattis and U.S. Special Representative for Ukraine Negotiations Kurt Volker — has drawn up a proposal to deliver anti-tank weapons (some have speculated this includes advanced Javelin missile systems) and anti-aircraft missiles to Kiev’s military. Although U.S. President Donald Trump has reportedly not been briefed on the proposal yet, renewed talk of arming Ukraine is already drawing attention in Moscow, especially over speculation that the proposed delivery includes Javelin missiles. Dreams of a reset in relations under Trump were firmly squashed last week by the U.S. Senate’s passing of a new sanctions bill aimed at Russia. The conflict in eastern Ukraine, where Moscow is accused of backing separatists in the Donbas region bordering Russia, has been frozen for the better part of two years. Neither side has managed to achieve decisive victories, and a 2015 cease-fire protocol known as Minsk II has failed to achieve any lasting results. The conflict in Donetsk and Luhansk festers on. Russian defense analyst Vasily Kashin told Defense News that U.S. weapons — particularly Javelins — will do little to change the course of the conflict. The primary weapons being used in Donbas, he said, are not tanks and anti-tank missiles, but old artillery systems. Ultimately, all the proposal would accomplish is signaling to Moscow that Washington is upping the ante in Ukraine, Kashin asserted. 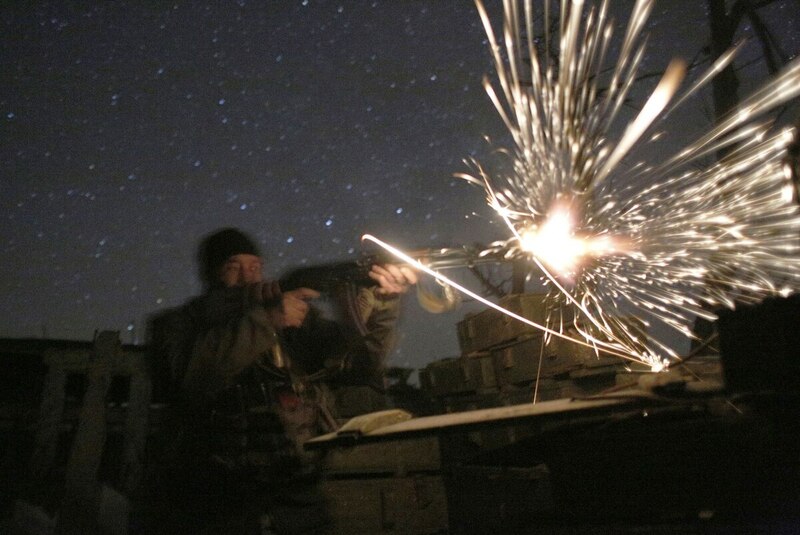 Andrei Frolov, an analyst at the Moscow-based Center for the Analysis of Strategies and Technologies, agrees that the Kremlin will respond with heavier weapon deliveries to the Donbas rebel forces. “In my mind, the Javelin is more a defensive weapon than anything else. I don’t think this would be very dangerous, but it would be quite provocative,” Frolov said. Moscow will wait for Washington to finalize its proposal — assuming it even reaches Trump’s desk — before exploring formal responses. The two sides have more immediate controversies plaguing their relations at the moment. The Kremlin is now awaiting Washington’s response to strict limitations imposed on U.S. Embassy Moscow staffers Friday. Kashin’s warnings to the U.S. were more dire, saying the proposal could backfire in two key ways: First, Kiev itself may misinterpret the situation and take U.S. weapons deliveries as approval for a renewed offensive on separatist positions — a move that could prompt Moscow to surge into the region to stabilize separatist positions. But the biggest risk to American interests might be control over the weapons themselves.